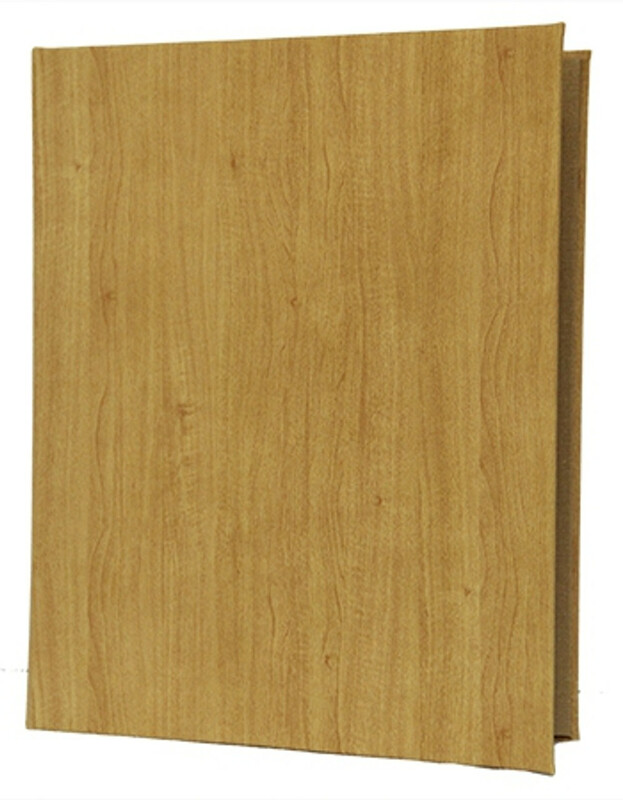 Wood Look Screw Post Menu Cover is perfect for extensive menus and wine lists. Interior screw post binding can hold up to 12 clear vinyl pockets for 24 views. Three sets of aluminum screws and posts are included. Vinyl pockets sold separately. Choice of wood look color, interior panel material and color. May be customized with your artwork or logo. Customization choices include foil stamp or burnishing. New orders require custom artwork setup charge.